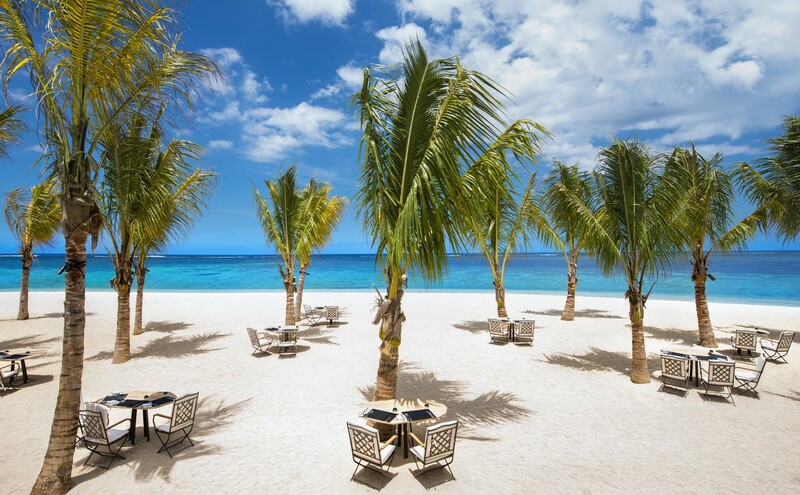 Situated on possibly the finest beach of Mauritius island, the St. Regis Mauritius will blend relaxation and luxury to perfection. It’s located right next to both a stunning tropical lagoon and the spectacular ocean itself. The hotel also sits at the foot of Le Morne Brabant rock a World Heritage site steeped in beauty. With its reputation for excellence, St. Regis Mauritius’ exquisite service and setting is sure to make anyone feel like royalty! 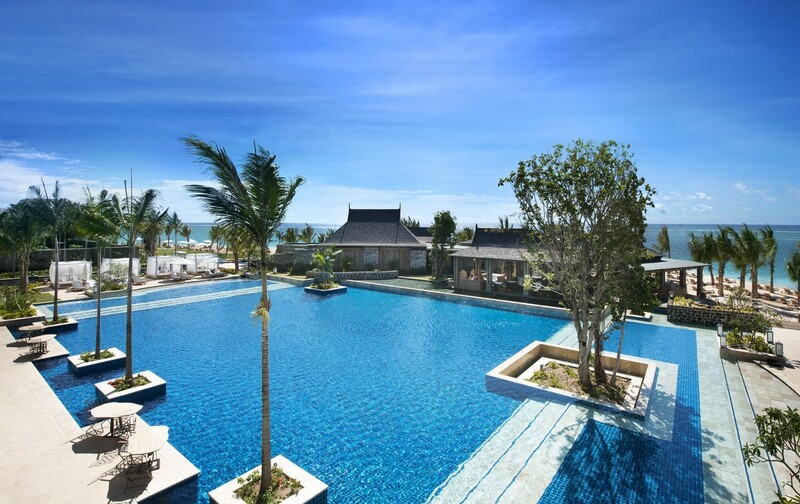 The St. Regis Mauritius Resort is a five star super luxury resort with 172 guest rooms and suites with breath-taking views over the Indian Ocean waters. The hotel, as with all St Regis hotels worldwide, works on the premise that you should not feel like you are in a hotel and the elements of exquisite service, a la carte dining in six restaurants and the fine setting makes this a reality. Beautifully appointed colonial style rooms with spectacular views over the gardens and their own outdoor living space. Ground or first floor. Beautifully appointed colonial style rooms with spectacular views over the Indian Ocean and their own outdoor living space. Ground or first floor. Beautifully appointed colonial style Junior Suites with spectacular views over the Indian Ocean and a large outdoor living space. The outdoor living room is a considerable enhancement to the Junior Suites. Rooms are located on the ground or first floor with unobstructed ocean views and a large outdoor living space. The St. Regis Suites are situated footsteps from the shore or ground or first floor. Stunning one-bedroom suites with separate indoor living room and an outdoor terrace or balcony. Located on first and ground floors, the St. Regis Grand Suites overlook the mind blowing One Eye surf spot. A large lounge and dining room complement the impressive outdoor living terrace or balcony. The Grand Suites feature an outdoor bed for siestas. Located first and ground floors. The Manor House Suites take us back in time to the first floor of the original private residence. Comfortable living space and colonial designs provide a footstep back in time. Epitomises the St. Regis commitment to refined luxury and bespoke attention. Nestled in lush tropical surroundings, and with the ocean lapping literally at its toes, the private villa has been designed to exceed the expectations of the most travelled connoisseur. Four spacious suites with exquisitely appointed interiors; refined fittings and delicate textures create a homely ambience enhanced by generous volumes opening out onto the ocean. 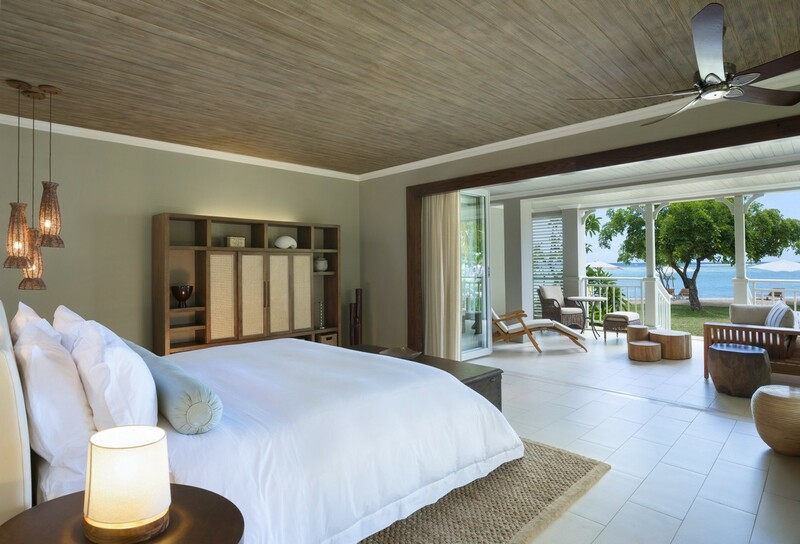 Each suite has full direct ocean view and opens up to a private timber deck with private sun loungers and direct access to the beach. 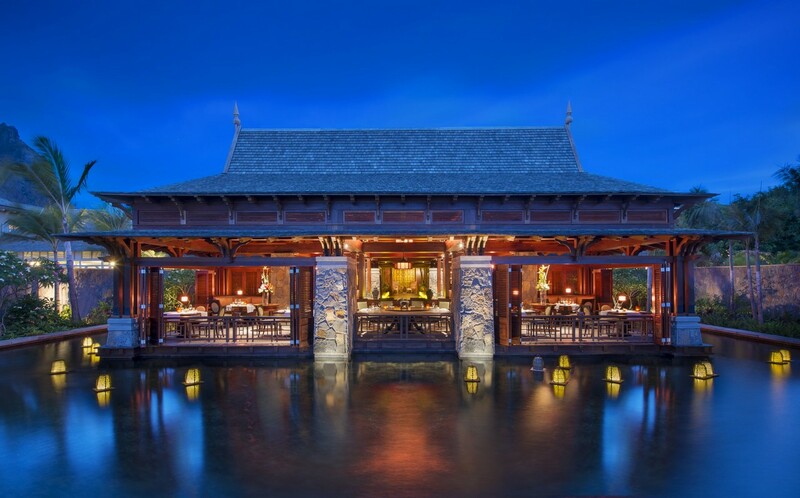 Featuring six distinct culinary experiences, The St. Regis Mauritius Resort offers epicureans a myriad of gastronomic influences ranging from French-inspired and traditional Mauritian cuisine, to the exotic dishes of India and South-East Asia and fine Japanese selections. Reflecting the decor and personalized service of a private dining room in a colonial home, Le Manoir Dining Room reveals true traditions of this inspiring island fusing exotic Mauritian flavor with classic French cooking styles. Simply India is the modern interpretation of authentic Indian cuisine Continue a voyage across an ocean inspired by the profound flavours, spices and colonial setting of this signature restaurant. The Boathouse Grill is an elegant beachside gourmet experience. Vintage champagnes will sparkle next to platters of oysters and grilled prawns.You can eat with your feet in the sand and dance into the sunset! The mood in the evening is very elegant and romantic with incredible lighting showing the restaurant to its best effect. Inspired by the waters around the island, Atsuko is synonymous with feelings of calm, serenity and warmth. Under the guidance of the Asian chef, Atsuko presents the modern Far East – Teriyaki, Sashimi, Tempura and Yakitori, fresh seafood, meats and accompanied by fresh hot and cold sake. Dinner will be offered three nights per week. During the week, the restaurant doubles as a Japanese cooking school. Reflecting internal strength and wellness, Floating Market is a revolution of South East Asian inspired food. Thai, Malay, Vietnamese dishes combine to infuse evocative aromas,tastes and colours. 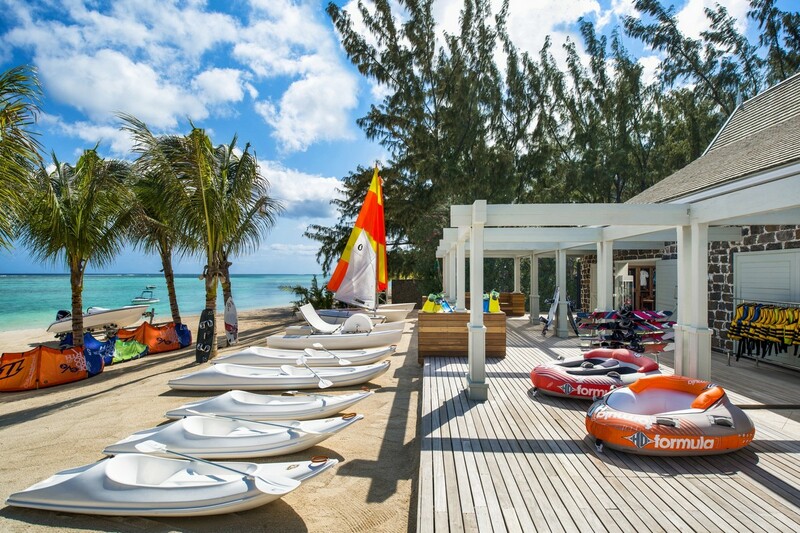 Children 4 to 11 years enjoy access to The Kite Flyers Club with exclusively designed activity program solely for The St. Regis Mauritius Resort's younger guests with a schedule of energetic, creative and highly satisfying activities both indoors and outdoors. Open daily from 09h00 till 19h00. Younger children are welcome if supervised by a parent or babysitter. If a babysitter is required, additional charges apply. Iridium… rare, refined and timeless. The journey will take you through a half an hour to half a day of sensory experiences in discreet, seductive and elegant surroundings. The time is yours to captivate and experience an uncompromising and professional service, from the time you enter the transcendental world of Iridium Spa to the moment you feel compelled to leave, as sun and sea may be calling!